Sunday night I saw "Contagion." What drew me in was the Allstar cast: Marion Cotillard, Matt Damon, Laurence Fishburn, Jude Law, Gwyneth Paltrow, and Kate Winslet. It was a good movie, but I have one little complaint about it. It was too long. Parts of it felt very drug out, but maybe it felt that way because I was expecting something faster-paced. 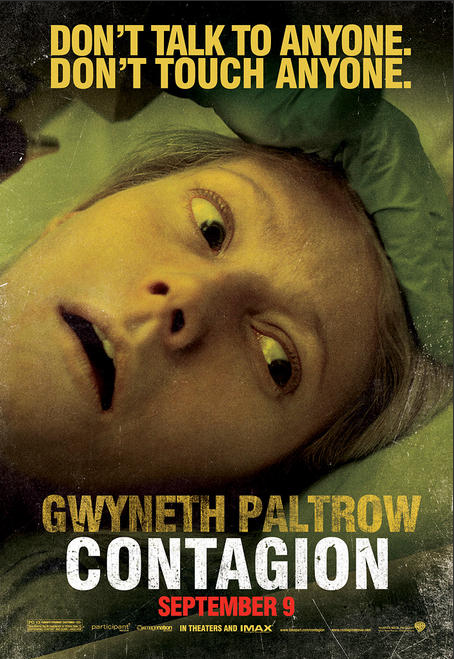 Nevertheless, "Contagion" did its job--it freaked me out!